Outlander Features: Sporty Dual Lens Style With Wide Temples Provides Full Eye Protection Against High Impact. 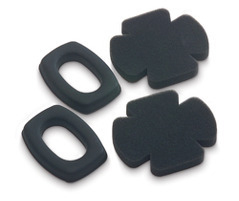 Soft Nose Piece Provides Comfort For Extended Use Without Slipping. Suitable For Both Working Environments And Sports Activities. 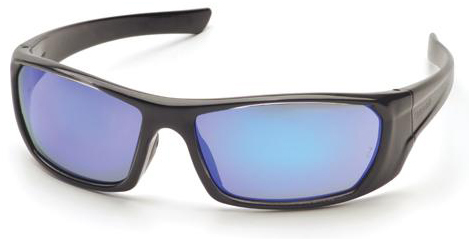 Ice Blue Mirror Lens: Gray Polycarbonate Lens With A Double Layer Of Silver And Blue Mirror Coatings. Commonly Used In Outdoor Applications. First Class Optical Lens Provides Unrestricted Vision. Offers Protection From Excessive Glare. Provides 99% Protection From Harmful UV-A And UV-B Rays. Stylish, Ergonomic Frame Combines With Sleek Polycarbonate Lenses For The Ultimate In Protection And Style. Compliance: Meets ANSI Z87.1-2010 High Impact Requirements.